2 year on parts and manufacturing defects * but designed to last a decade or more. 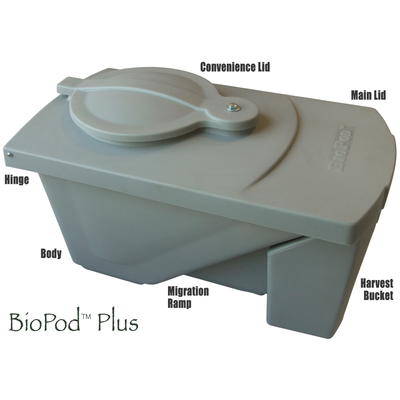 The BioPod Plus is a convenient way to recycle your kitchen scraps and restaurant leftovers into valuable feed - an excellent choice for your fish, chickens, bullfrogs and backyard songbird feeders. Utilizing the larvae stage of the native Black Soldier Fly, these devices are an efficient way of bio-converting your food scraps into living biomass, without the time consuming task of separating the grubs from the active pile. Mature grubs auto-separate from the active pile via crawl off ramps and collect in the handled harvest bucket. Advanced drainage system helps maintain aerobic conditions by separating liquid effluent from pod contents. Liquids are easily dispensed from external fittings. Pair of angled, 40˚ migration ramps allow for natural migration of grubs. Inner edge of almost 2" wide ramps possess a raised lip to guide grubs and optimize auto crawl off. 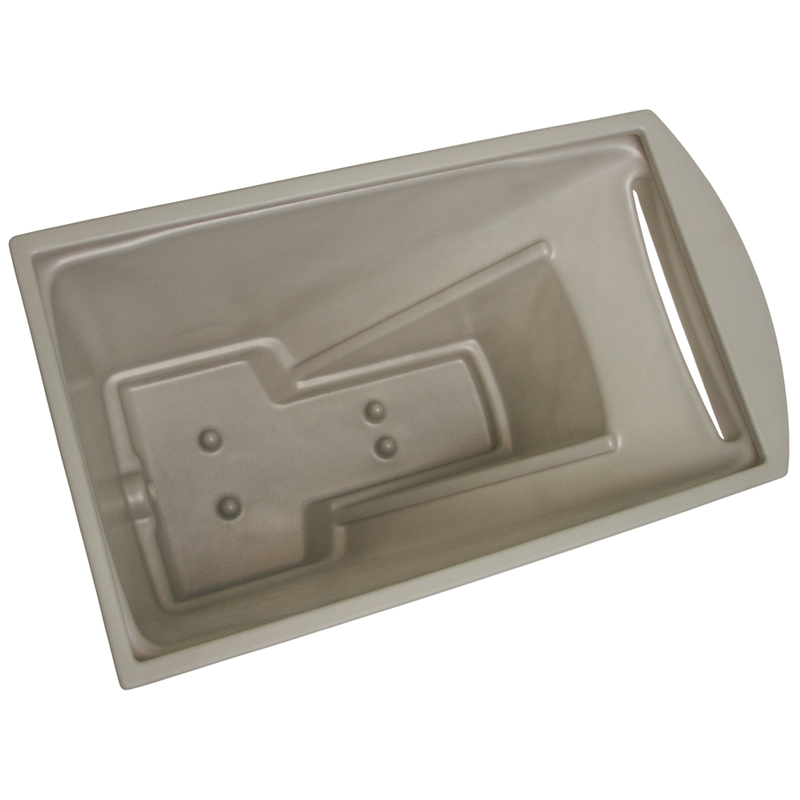 Dual ramps lead to harvest slit at top which overhangs the entry chute of the harvest bucket. 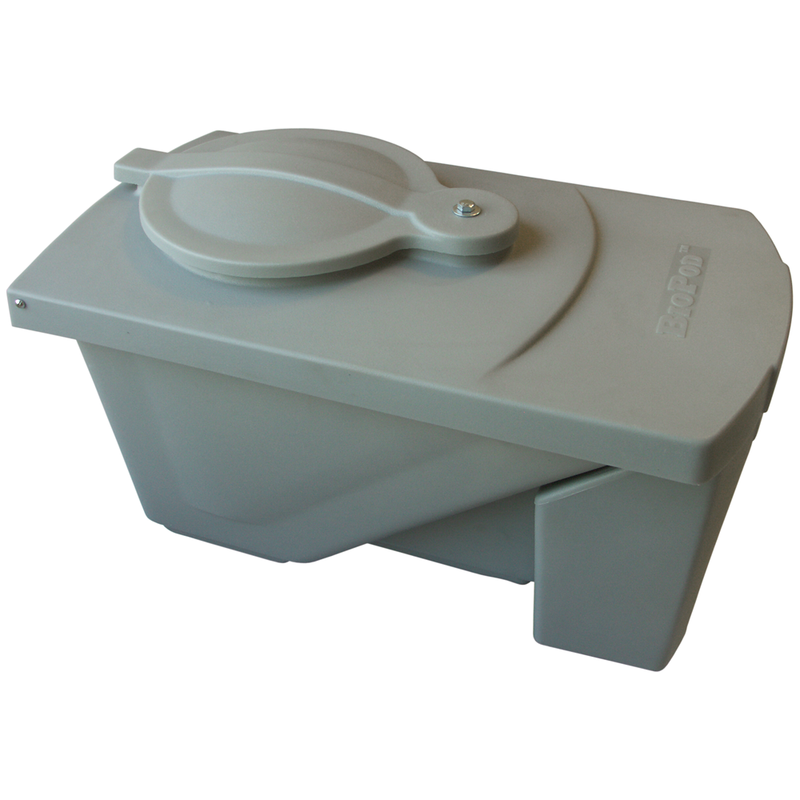 Covered harvest bucket auto-collects grubs for simple, no-hassle separation, while fitting snuggly into pod body. 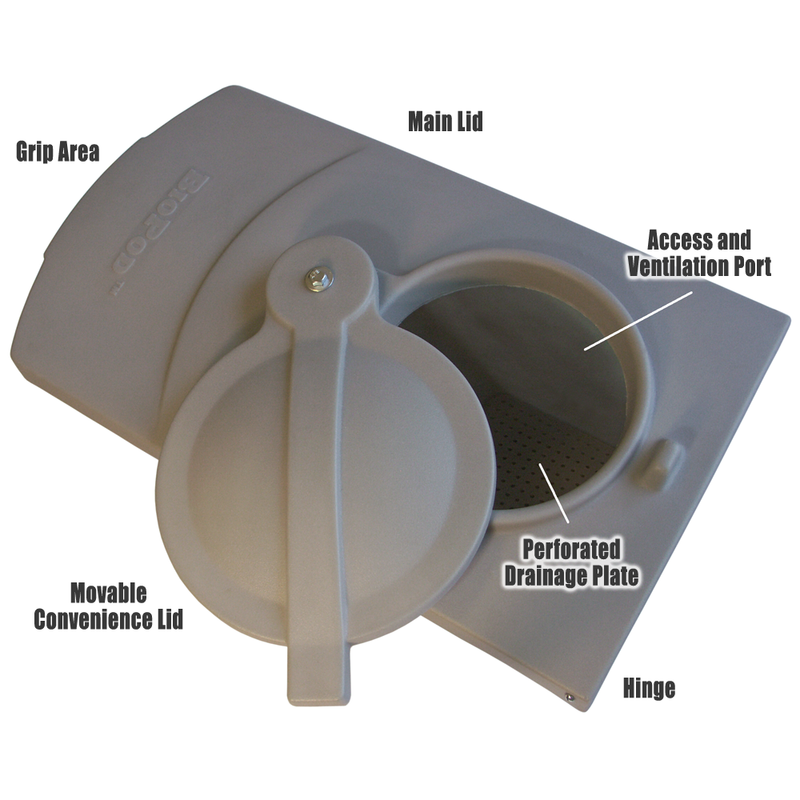 Bucket features: a drip channel that diverts condensation and precipatation away from the contents, a carrying handle to remove unit from body while providing a means of gripping, an air port slot to keep grubs from suffocating, and a top entry chute where the grubs fall through via gravity. Advanced drainage of liquids effluent occurs through perforated drainage plate and flexible mesh drainage pad, allowing liquids to flow passively into collection area. Multi-layer drainage system phyically separates active colony from liquid catchment area, allowing liquid to pass through mesh, 0.5 cm holes and exit the rear drainage port.